Love this quote from George Bernard Shaw, although I tweaked it just a bit. I used the word "endless" whereas he used "numerous." For me, the word endless is more impactful. 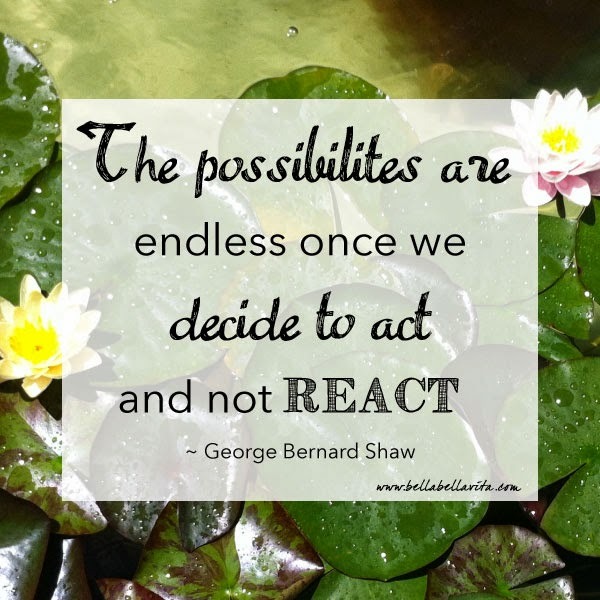 This is a great reminder for me to "spring into action." Hope you have an inspired week! P.S. I took this photo of these beautiful water lillies at the Getty Center Villa a couple of years ago when my parents were visiting. Lovely green and very appropriate for St. Patty's Day!